Tiffany Espensen Photos, News, and Videos | Just Jared Jr.
Alisha Marie stuns in a silver jumpsuit at the premiere of Showtime’s Patrick Melrose held at Linwood Dunn Theater on Wednesday night (April 25) in Los Angeles. The 23-year-old digital influencer was joined by Tiffany Espensen for the premiere event. Starring Benedict Cumberbatch, Patrick Melrose is a five-part limited series based on the acclaimed novels by Edward St. Aubyn. It tracks Patrick from a privileged but deeply traumatic childhood in the South of France through severe substance abuse in his twenties in New York and, ultimately, toward recovery back home in Britain. How adorable is this moment between Zendaya and Veronica Dunne at the Spider-Man: Homecoming premiere last night in Los Angeles? We can thank Veronica‘s boyfriend Max Ehrich for snapping the pic on Instagram because we are loving every moment of it! 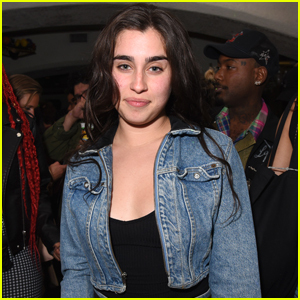 Veronica stepped out to support her K.C. Undercover co-star and bestie at her movie’s premiere. Just a few days earlier, Veronica showed off more love for Zendaya after the trailer for her next film debuted. “I’M CRYING. CHILLS EVERYWHERE. SO PROUD. SO HAPPY. SO MANY EMOTIONS. I CAN’T HANDLE THIS,” she exclaimed on Twitter. Jordan Fisher, Jenna Ortega, Yara Shahidi, Tiffany Espensen, and Cameron Boyce were also at the event last night. Chloe Lukasiak‘s dress is everything at the 2017 Radio Disney Music Awards! The actress and dancer tried out a modified Edwardian collar for the annual ceremony, where she was co-hosting the pre-red carpet stream. Olympian Laurie Hernandez, DWTS pro Witney Carson, Alli Simpson and Hayley Orrantia were also seen at the show. Other stars that you might not have known were there include Lauren Taylor, Alyson Stoner, Lilimar, Jack Griffo, Riele Downs, Sofia Reyes, and Tiffany Espensen! Remember to tune into the 2017 RDMAS TONIGHT, Sunday, April 30th on Disney Channel! Dove Cameron & Katherine McNamara's 'Monsterville: Cabinet of Souls' Premieres on Disney Channel Tonight! 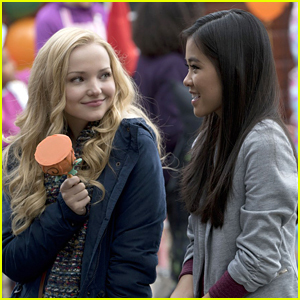 Dove Cameron and Tiffany Espensen enjoy a double date to the fall festival in this still from R.L. Stine’s Monsterville: Cabinet of Souls. The new Halloween-themed movie is making its’ Disney Channel premiere TONIGHT! When a traveling Hall of Horrors show arrives in the town of Danville, a group of high school friends can’t wait to get spooked. The monsters, zombies, and ghouls are completely lifelike; and the villainous showman, Dr. Hysteria, and his enchanting assistant, Lilith (Katherine McNamara), really know how to turn up the scares. But when someone discovers a haunted cabinet backstage that traps the souls of lost teens, it’s up to the gang to stop the mayhem before they are trapped forever. 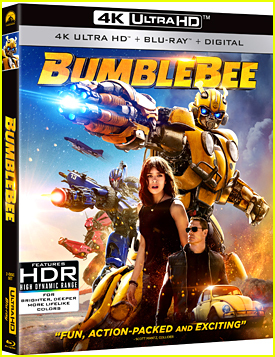 Ryan McCartan, Braeden Lemasters and Casey Dubois also star in the movie airing Saturday, October 29th @ 8PM ET/PT on Disney Channel. We are living for the costumes at Starlight’s Dream Halloween 2016! The event, which was held on Saturday night (October 22) in Los Angeles, was full of our fave stars including Tiffany Espensen, Lizzy Greene, Kayla Maisonet, Kara Royster, Jake Paul, Monique Coleman, Belle Shouse, Lance Lim, Aidan Miner, August Maturo and his younger bro Ocean, Ronni Hawk, Matthew and Benjamin Royer, Oliver Bell, Chandler Kinney, Chloe East, and Luna Blaise. Middle School‘s Thomas Barbusca, Griffin Gluck, Alexa Nisenson, and Jacob Hopkins were also seen inside the bash with Just Add Magic stars Aubrey K. Miller, Olivia Sanabia, and Abby Donnelly. The annual costume party and fundraiser is a charity benefit for Starlight, a US-based children’s health charity. Starlight provided free event tickets to hundreds of seriously ill children and their families who are supported by LA-area children’s hospitals. The event featured a ton of games, crafts, food, toy giveaways and live performances from Butterscotch, Leftover Cuties, Mahkenna, Aussie Youth and Le Petit Cirque. Luna is also pictured below with Larsen Thompson at the GUESS Originals cocktail party earlier in the week.